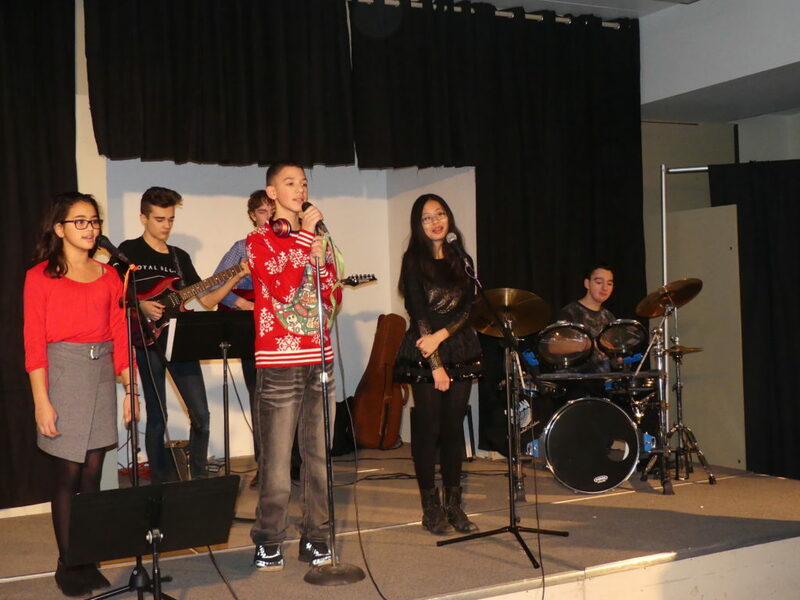 The Chisholm Music Ensemble performed at Winter Arts Night on Tuesday, December 18th. Their set included Bruno Mars ‘Count on Me’, Jakin’s ‘War Song’, the holiday classic ‘Jingle Bell Rock’ and ‘We are the World’. Taylor, Jakin and Michelle impressed the audience with their vocal skills. Sam ‘the piano man’ played some solid keyboards and Josh, Cameron and Kalob wowed the audience with their amazing performances in the Rock Medley. The C.M.E. received a standing ovation at the end of their awesome performance! Well done everyone!